We all have days of wanting to be absent from work or school, like when one just wants “me time” and burned out for a particular day, just want a day off just to rest, or have another personal activity and the boss just won’t let you take a leave. Easiest excuse? Playing ill. But it takes a bit of skill on how to fake being sick for work. 1. Do Your Research On What Illness To Choose. 2. Start acting out the symptoms the day before as necessary. 4. Appear more sluggish than usual. 5. Fake something with less outward symptoms. 6. Think of an excuse that requires urgent attention. 7. Have a believable post-sick leave follow thru. 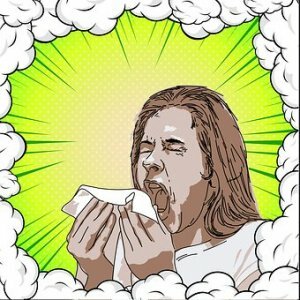 How to Fake Sick at the Office? How to Fake Being Sick at School? If you need your excuse to sound believable, you need to know all the symptoms that go with your “health condition”. That way you can get into character especially if you have to “prepare ahead” and drop hints of early symptoms and tell-tale signs. Research on being sick is also important to know what kind of illness to fake depending on how long you plan your absence from work. There are illnesses that can take only one day, (such as diarrhea or a migraine), several days (such as flu), or even a couple of weeks (such as chickenpox). You can’t have flu one day then go back to work or school tomorrow! Keep these symptoms in mind the whole time. Better yet, start acting out towards the end part of the day before, so you do not have to keep track of your symptoms all throughout the day. Another smart reason not to start it early on is the boss might send you to the office clinic or your office’s accredited hospital if your office has one. You don’t want to get busted even before your sick leave happens, do you? Don’t overdo the symptoms, though, and even pretend you are in denial of your illness and want to continue to work. Do things that you would not normally do such as isolating yourself, or not eating much. Pretend to have a low mood. Do not socialize much with the other coworkers, and act like you don’t have an appetite. if you cannot keep from eating a full meal, then have something before lunch so that coworkers will see that you aren’t eating much during lunch time. Have more trips to the restroom than usual. Behave like you are less attentive to your usual tasks at work or school. In doing so, the boss will take notice and initiate asking what is wrong. This will give you an easier lead to take a sick leave. If you are poor in getting in-character and sustaining the manifestation of symptoms, choose to fake something that does not have outward signs such as headaches, stomach upset, diarrhea. If you want something of an urgent excuse so that your boss will easily let you go for days, think of something contagious. He or she will not want a whole lot of absences in his office. After you return to work/school, keep a bit of the “symptoms” intact to make it look real. Don’t pop in back to work feeling fully alright and cheerful. You can’t fake a runny nose, but you can pretend to have one. Have a box of tissue as your props. Breathe through your mouth so that you sound like you have a stuffy nose. For some, eating something spicy can start a runny nose. Sneeze or cough occasionally, though do not overdo it. Sniffing pepper can make you sneeze if you really want to make your colds seem real. Make your eyes look watery with petroleum jelly or an organic oil (such as castor oil); organic so that it won’t irritate your eyes even when you apply it so closely. If you want to irritate your eyes though to make it red, a bit of salt on water or toothpaste can irritate your eyes red. 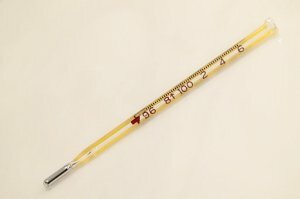 Bring your thermometer to something warm like a light bulb, or a hot cup of water. You have to watch it though because it can get unusually high so easily. Faking a fever though can easily be checked, so you might want to try other ways of how to fake being sick for work. 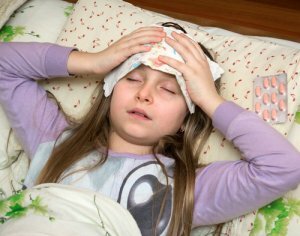 Also, if you pretend to run too high a fever, your parents might take you to the hospital as an emergency case, so do not let your thermometer read a very high temperature. Drink something as hot as you can tolerate just before putting the thermometer into your mouth. Make your face red by a hot water bottle, or a very warm compress. You can also expose yourself to the sun or if you blush easily, a short rigorous exercise will do it. Another trick to get your face red is by using a blower over your face. You can also run hot water in the bathroom sink and bring your face close to the sink bowl once it gets very hot. Some makeup will help make you look pale, especially using a pale foundation or concealer on your lips. You can also make yourself red on the nose, around the eyes, forehead to look ill.
mouth and running to the bathroom, you want to make it look more authentic, right? 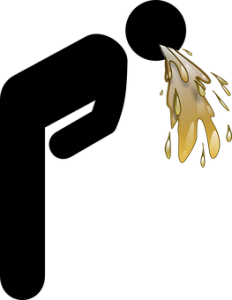 Use oatmeal or chili as your vomit props to make it look real. Make it appear you are dizzy and that you are taking some time to rest your head on the desk occasionally. Get into character the whole time. Let’s say your boss called you and you pulled through. Then you get a call from an unfamiliar number and you act normal. Could be your boss trying to catch you. Some ultra-nosey bosses will even ask for a Skype call pretending that they need something from you. All throughout, make yourself look sick; wrap yourself with thick clothing, make yourself look sick by faking a fever. Before he or she gets too nosey, tell your boss you need to see your doctor and can’t stay long. Making an excuse of being sick with something contagious is considered urgent and will keep your nosey boss away and let you take time off without making it difficult for you. If you are going on a vacation on a beach, please for heaven’s sake, make sure you do not get a tan! Neither should you post anything about it on social media, like pictures of your vacation on FB. It may be a no-brainer but someone actually got in deep trouble because she posted about her faking sick and her boss found out. Try to be discreet about your sick day; don’t be seen in public places like malls. Do not tell anyone, not even your seemingly friendly coworkers. You may be friends with them but what if he/she tells it to other coworkers who aren’t quite friendly with you? If you have a habit of calling in sick, take note of your reasons. Chickenpox happens only once, extremely rare a second time, so you cannot use that again. Don’t overdo the symptoms outlined here; overdoing it can backfire and you would get busted. While everyone goes through that and we want a day off from work or school at one time or another, it is not wise to abuse making excuses. Like the boy who cried wolf, your boss/parents might not believe you anymore the next time around. And it will get harder the next time to report sick for work or school, whether or not it is real. School or work is precious and we should all have that level of responsibility. Remember to clear your browsing history after reading this! 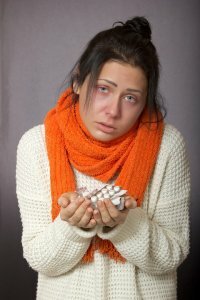 As an employee, you might want to read on how to fake being sick from your personal phone or computer and not the office computer. You also might want to check out this page. “Common Colds: Protect Yourself and Others”. CDC. 6 October 2015. Archived from the original on 5 February 2016. Retrieved 4 February 2016. Longo, Dan L.; Fauci, Anthony; Kasper, Dennis; Hauser, Stephen; Jameson, J.; Loscalzo, Joseph (2011). Harrison’s principles of internal medicine (18 ed.). New York: McGraw-Hill. p. 4012. ISBN 978-0-07-174889-6. US organizations can request justification before giving you sick leave. Your manager is lawfully permitted to make inquiries about your condition or to request a specialist’s note, regardless of the possibility that the ailment is minor or major. But, organizations can not request to know your diagnosis or other private medical data. The Americans with Disabilities Act (ADA) forbids bosses from acquiring medical information that is not entirely work-related. A specialist just needs to compose a note that states that you were inspected and need time off. Make an inquiry about what type of note your working environment will require and by whom. Organizations may request evidence in the event of “suspicious” nonappearances, such as missing an excessive number of Mondays or Fridays, or they may just have a sandwich strategy. So, always keep these things in mind before getting a sick template. 2) Choose your day carefully: If you’re truly determined to make your forged sickness looks real, then you should put more effort into it. If you pick the wrong day to forge an illness, it’ll be a great deal harder to make it look genuine or real. For instance, if you fake your ailment on Monday or Friday, after a long weekend, it may look suspicious to your supervisor. Additionally, ensure you haven’t recently been sick or taken a lot of time off. Always ensure that the circumstances are in your favor while you plan a phony sickness otherwise you may get caught. 3) Don’t throw your success party: Even if you get successful in faking a sickness don’t throw a party with your friends. If you fake wiped out and after that act super social, it’ll return to your manager. Additionally, if you spend your so-called sick day outdoors and show up to work with a tan, that will also look pretty suspicious. 4) Stay away from social media: When a person is actually sick, he/she encounters many situations that are needed to be handled properly. So while you forge a sickness, you should never upload your pictures or statuses on any social media site. If you do so, it will create doubts for you in your employer’s mind. 5) Make the call to your boss: Make the call to break the awful news to your manager. Call your supervisor immediately after waking up since you’ll have a somewhat unpleasant voice around then and this will add validity to your fake ailment. Try not to get excessively detailed––just say that you’re not feeling well and won’t come in. Give simply enough data for your manager to trust you without explaining everything in detail. 6) Never involve your co-worker: You may feel that you’re close with your colleagues and that they could never rodent you out, but you should still be careful about announcing that you were pretending to be sick. Your colleagues won’t have any desire to high-five you and will think you were being irresponsible. Also, if only one repeats what you’ve said and it returns to your supervisor, you can even be fired. Many schools don’t require a doctor’s note for illness but, if you show the one to your teacher it will add credibility to your fake illness. Many doctors won’t compose templates for school nonattendances. Your parent or guardian can compose a sick template for your educator after you recuperate or drop it off actually. Furthermore, an ideal approach to get a template is on the web. You simply need to visit BestFakeDoctorsNotes.net and you are done. Faking a sickness at school is much similar to faking a sickness at work. In fact, it is easier as teachers are usually worried about the student’s health. You just need to follow the above-mentioned steps and arrange a fake note. After this, you are good to go! There are many ways one can fake an illness, with some methods more effective than others. The most common and popular trick is one we’ve all heard of — simply holding up a thermometer to a lightbulb in order to fake the impression of having a fever. The potential downfall of this method though, is that these days many thermometers are checking temperature through the ear as opposed to the mouth and can be completed in a matter of seconds. This method was much more effective back in the day when thermometers took much longer and there was more time to accomplish the task at hand. The good news is that there are many other avenues one can use that don’t involve thermometer props. Decent acting talent and a dedication to the role are all you really need. If you have the time to plan it out, start mentioning the day before your illness is supposed to take effect and mention how “tired” or “sluggish” you’re feeling. Many illness take some time before coming on full force, so mentioning that you’re not feeling well the day beforehand sounds much more feasible than a sudden onset of flu-like symptoms. Need the Ultimate Alibi? Check Out Our Product! Some other ways to play up your illness is to give the illusion of cold and clammy skin. This can easily be done by merely splashing some cold water on your face, making sure to get the front of your hairline as well. After this you can walk around (slowly, of course) talking about how warm you feel. This will give the impression that you are experiencing cold sweats, a telltale sign of an illness. You can also reverse this trick and use warm water on your face giving a flushed appearance while complaining about how cold you are. While attempting to fake a stomach illness of some sort, it is always wise to spend a lot of time in the bathroom. If you are in there for an extended period of time, most people will not question what it is you are doing in there because they really do not want to know. The most important thing to take away from all of these tips is that the less you play it up, the more believable it is going to appear. Making a huge scene out of anything is going to make you look much more suspicious. It does not need to be a huge production and always remember that less is more.